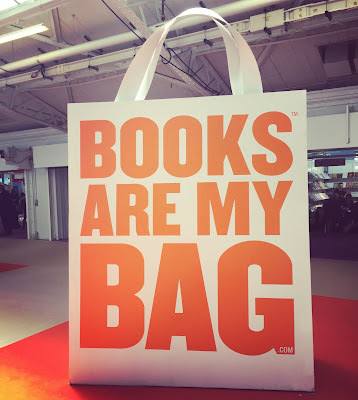 As one of the authors of the day Tracy Chevalier put it, “it’s nice to have that layer of fairy dust, that is the novelists, sprinkled all over the book fair.” She's talking about the big names, but I think this encompasses all creatives. We're not expected to do anything, other than keep creating. 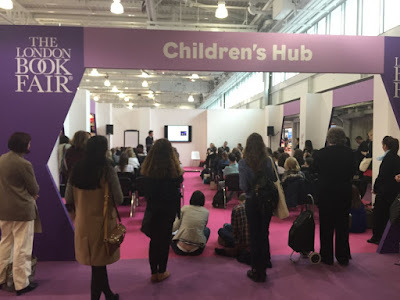 Rewinding a couple of weeks as my first visit to the London Book Fair drew nearer, I scoured the list of talks on the website that I, an unpublished, unagented writer, thought I would gain the most from. After downloading the mobile app for easy access to my schedule, I was mostly camped out in the children's publishing area. It had three event spaces, eighty publisher stands and a couple of food stalls that satisfied my daily tea and cake habit. I ended up attending ten talks over the three days, which were either panels or author interviews. The Make them Laugh panel with Alex Milway, Gary Northfield, Kate Davies and the brilliant Philip Ardagh discussing children’s appetite to read books that make them laugh and the learning opportunity this presents, particularly in non-fiction. An author interview with Judith Kerr talking about the inspiration behind her first book When Hitler Stole Pink Rabbit in the aftermath of a childhood defined as a Jewish refugee, and her latest book Mister Cleghorn’s Seal inspired by her father. The Write Stuff panel, a dragon’s den style competition where we heard six authors, shortlisted from over one hundred submissions, pitch their books to three agents. Shortlisted SCBWI member Karen Taylor pitched her YA novel at The Write Stuff and said of the experience, "It's a good opportunity if you get to the final six, a great achievement even if you don't win. Anything that gets you out there is worth it. Publishing is so much about promotion and PR these days, so any opportunity you get to practice these marketing skills is invaluable." Also worth a mention, as SCBWI member Kate Peridot noted, was The Power of Pictures panel led by the Centre for Literacy in Primary Education (CLPE). 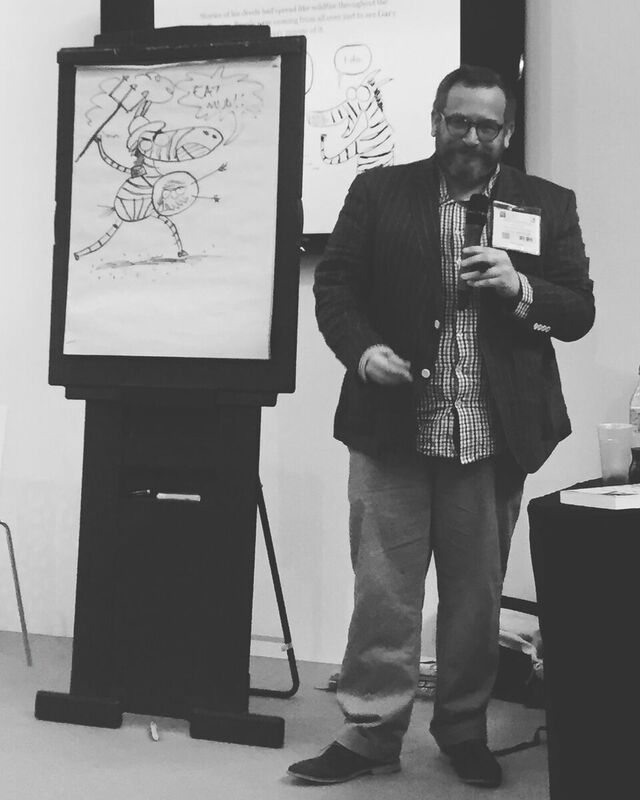 The panel discussed the interplay between words and pictures being more important than ever and the value of teachers working directly with professional writers becoming more proven and known. 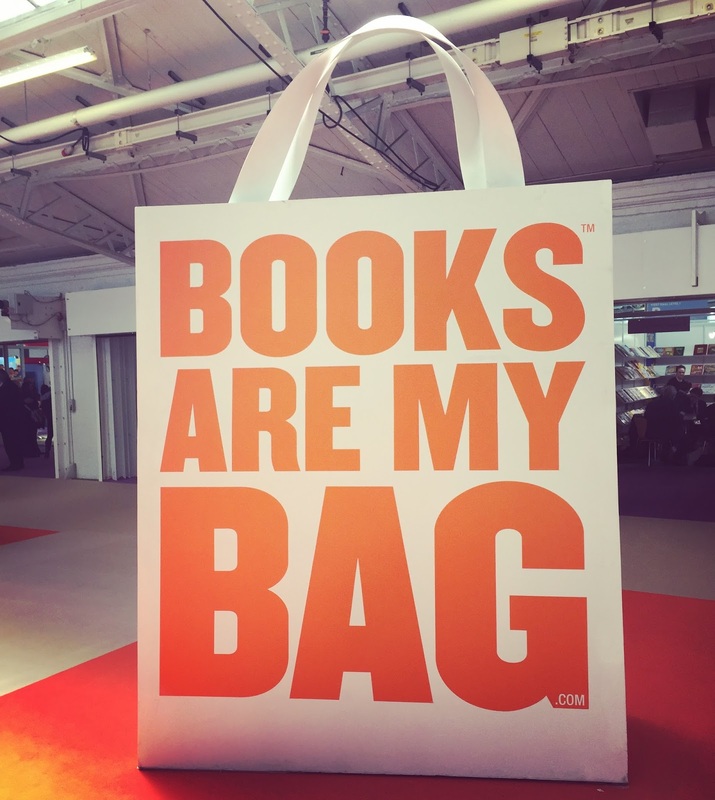 There was so much going on at the book fair, a lot behind closed doors and on other levels that required different conference tickets or that you be an agent or publisher, it was the physical embodiment of the business of publishing. 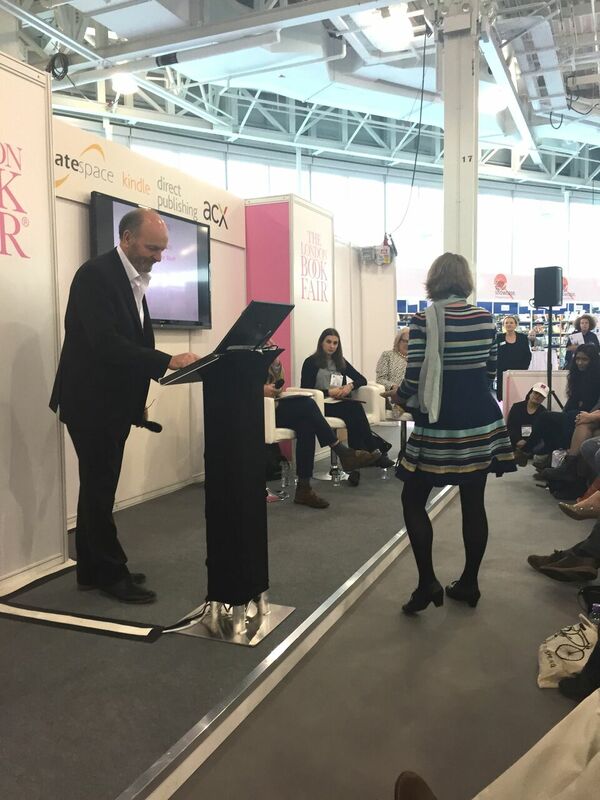 Tracy Chevalier talked about hearing the “sound of people buying and selling books,” which is apt as the suited and booted publishing industry were there to meet, network and conclude deals. So, should you go next year? As Kate Peridot shows, go if you have pre-booked meetings and are better than me at coming away with a great selection of publisher catalogues filled with new releases and a snapshot of the current market, and as Karen Taylor proves, go if you make it to the shortlist to take part in "The Write Stuff". If you’re one of the lucky few, there could be some business to attend to! 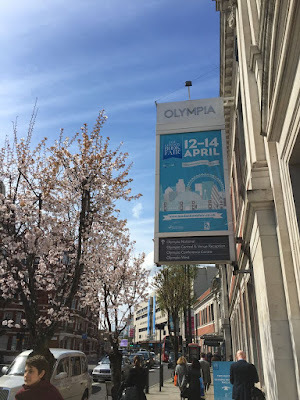 By attending I gained a feeling of being more connected to the global publishing industry just by witnessing it bustling around me. I learned something new at the majority of the talks I went to and I feel like I would now be better equipped to attend again, particularly in light of Kate and Karen’s experiences, planning is key. 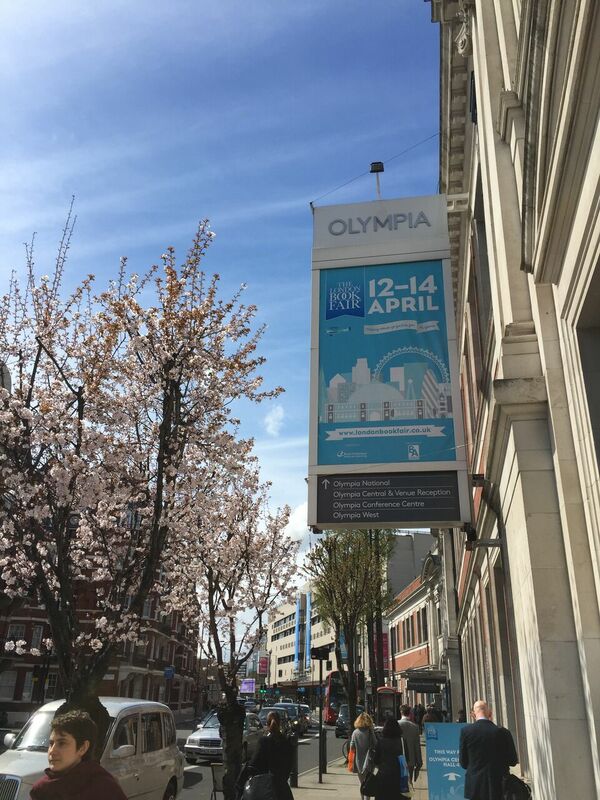 Next years fair dates have already been announced, it will be held at the Olympia exhibition centre on 14-16 March 2017. 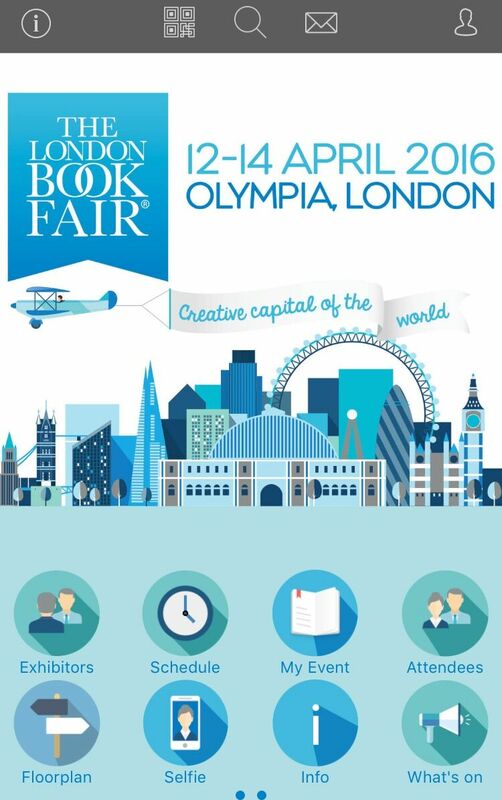 In the meantime you can find out more about what went on at the 2016 London Book Fair at the following links, particularly the award winners to look out for. Janey Robinson spent fifteen years writing poetry and short stories before becoming an aunt, four times, reawakening her love for the books of her childhood. She is currently working on fiction and nonfiction picture book texts with human nature at their heart. 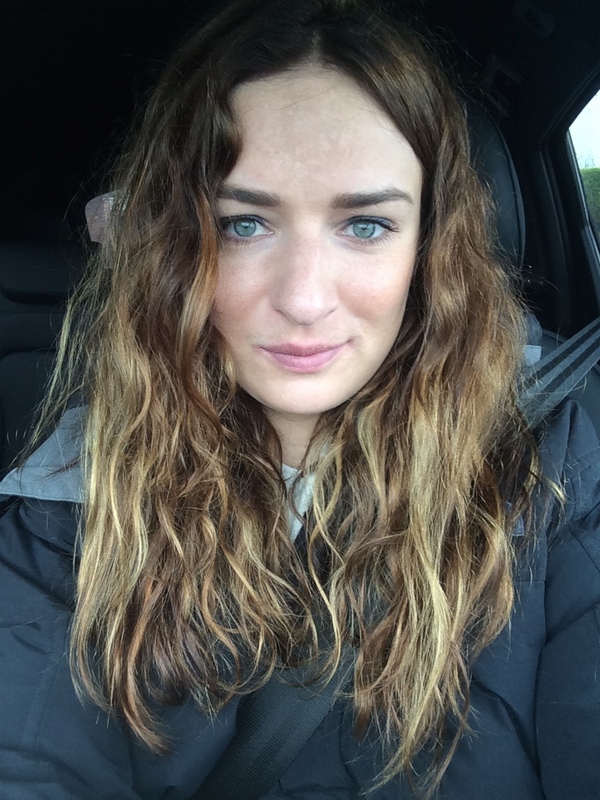 She joined SCBWI in 2015 and volunteers to help organise their London events. Janey lives with her husband Tom in Notting Hill and is pregnant with their first child. Great write up, thanks Janey! You've definitely made it feel more accessible and friendly to a novice like me! Like Zoe says, you've made it accessible and opened my eyes to the event. I've always felt it was more for published and agent ed authors. Thank you. Corporate events can fulfil their aim of reaching their audience only when they are successful and for successful corporate events Chicago there are few factors we should keep in mind. What, when and how things should take place must be planned in advance.